The Paepalanthus chiquitensis is a special plant, endemic to South America with main occurrence in the cerrado region of Brazil. The plant itself is not considered endangered, however the accelerated advance of monoculture plantations (for example soya) in this region is causing concern. 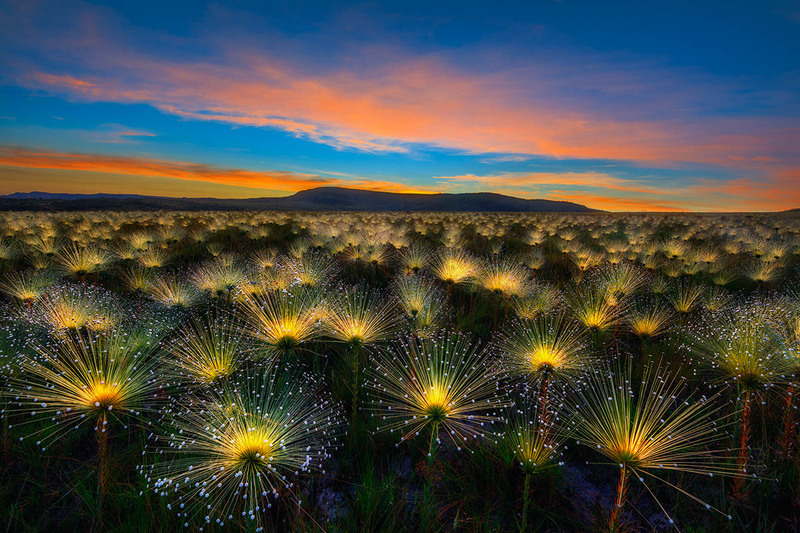 It is critical to shine a light on the wonder of these plants and take steps to preserve the unique beauty of the cerrado ecosystem. I intensified the natural glow of sunrise by increasing the contrast between the flowers and grass.